A Valentine's concert and brunch, free admission to Museum of Discovery and a father-daughter art day are all on the lineup! Whole Foods Kids Club at Whole Foods Market: Enjoy a snack, a craft and a story with the team at Whole Foods! When you visit the store, don't forget to take a free piece of fruit from the kids club station in the front of the store. The fun starts at 10 a.m. Click here for more details. FREE! Valentine's Party With Mömandpöp at South On Main: Mömandpöp return to strike a chord in your heart with a Valentine's Party for kids at South on Main, presented by The Wonder Place! Doors open at 10 a.m. with a Brown Bag Brunch from South on Main. The Wonder Place will have an activity station for the kids before the show starts and the concert begins at 11 a.m. Admission is $5 and more info is available here. Toothapalooza at Museum of Discovery: Museum admission is free for kids (and their families!) who participate in free dental screenings and fluoride varnish applications. Kids will also receive an oral health kit to take home and can enjoy tooth-related science experiments, plus a special visit from the Delta Dental Tooth Fairy! The fun goes from 10 a.m.-2 p.m. Free admission and screenings are limited to the first 600 guests and a maximum of four guests per family. FREE! Carboard Village at Heifer Hour at Heifer Village: Heifer Hour takes place once a month at Heifer Village & Urban Farm for kids in kindergarten through fifth grade. This time, kids will get to build a village with cardboard and other recycled materials. They'll also learn about composting and recycling. The fun goes from 11 a.m.-noon and more info is available here. FREE! American Girl Doll Sweetheart Party at CALS Terry Library: Bring your favorite doll (even if it's not an American Girl Doll!) to join in the fun with crafts and activities! The library will serve refreshments from 2:30-3:30 p.m. Click here for more information. FREE! Winter Jam at Verizon Arena: Doors open at 5 p.m. for this Christian, family-friendly concert event. The lineup of performers includes Newsboys United, Danny Gokey, Mandisa, Rend Collective, Ledger, Newsong and several others. Tickets are $15 at the door and more information is available on the Winter Jam website. Super Sunday Free Family Funday at the Arkansas Arts Center: Try a free art-making experience for the whole family! 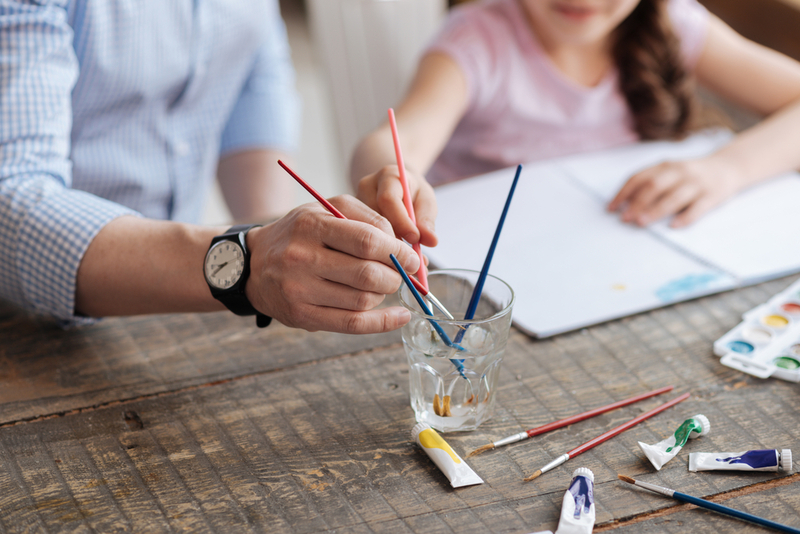 This drop-in style event for kids (and adults) of all ages will focus on participants creating portraits using symbols to represent things about themselves. Stop by from noon-3 p.m. to join in on the fun. Call 501-372-4000 for more information. FREE! Father/Daughter HeART Day at ArtLab: Daughters and dads can come together for a little are and a whole lot of fun! The craft for the day is inspired by the artist Jim Dine. Price for each father-daugther duo is $45 and each additional daughter is $10. This event from 2-3:30 p.m. is suggested for ages 3 and up. Call 501-379-9175 to register. Half-Price Days at Rhea Lana's Consignment Event in Little Rock: Discount shoppers, get your shopping bags ready. Rhea Lana's is a consignment sale offering gently used children's items, maternity clothes, toys and more. Admission and parking are free. The sale is taking place at 2616 S. Shackleford Road (formerly Gordman's) from 10 a.m.-9 p.m. Friday and 9 a.m.-5 p.m. Saturday. Visit Rhea Lana's website for more information. FREE! “This Little Piggy Went to Market” at Arkansas Arts Center Children’s Theatre: When Mama Piggy sends her precious piglet off to Boudreaux’s Bayou Market for flour and sugar and eggs, she reminds her to be kind to others, obey all the rules and never stray from the market road. Little Piggy trots off to town, promising to be good. But can such a fun-loving little pig keep her promise? Showtimes are 7 p.m. Friday and 2 p.m. Saturday and Sunday. Tickets are $10 for members and $12.50 for non-members. More details are available here.